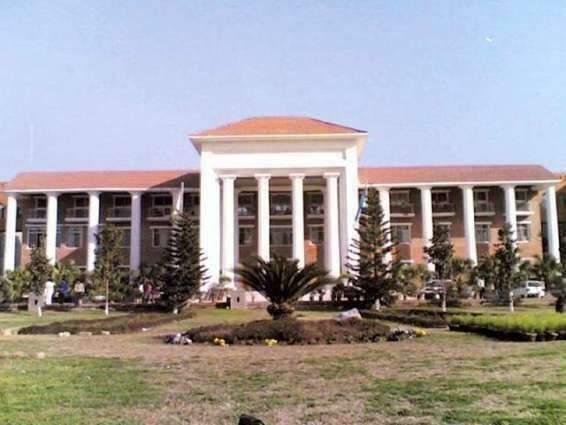 RAWALPINDI, (UrduPoint / Pakistan Point News - 17th Apr, 2019 ) :Dr. Qamar-uz-Zaman, Professor and Precision Agriculture Research Chair, Engineering Department Faculty of Agriculture Dalhousie University Canada has assumed the charge of Vice Chancellor Pir Mehr Ali Shah Arid Agriculture University Rawalpindi (PMAS-AAUR). According to spokesman, Prof. Dr. Qamar-uz-Zaman carries a remarkable academic career throughout his education. He got JSPS-NSERC Research Fellow in Precision Agriculture (PA) from Tokyo University of Agri and Tech. Japan in 2005-2006, Post-Doctoral Fellow in PA University of Florida USA in 2002-2005, Doctorate Degree in PA University of Newcastle upon Tyne UK in 1995-1999 and got BSC (1980-1984) and MSC(1987-1990) degree in Agri. Engineering from University of Agriculture Faisalabad. Dr. Qamar-uz-Zaman joined Dalhouise University Canada as Associate Professor in 2010 and appointed as professor in 2014. He also served Nova Scotia Agricultural College, Truro Canada as Machinery Systems Research Chair/Assistant Professor, University of Agricultural and Technology Japan as JSPS-NSERC Research Fellow, University of Florida USA as Post-Doctoral Fellow and University of Agriculture Faisalabad as Assistant Professor, lecturer and Research Officer.